Low down payment jumbo loans provide buyers the flexibility needed to purchase the home of their dreams. Today we offer jumbo purchase solutions up to 95% loan for qualified borrowers. This is great for home buyers that wish to retain their cash savings for other investments. Contrary to popular belief, jumbo mortgage interest rates are pretty low these days and not much different when compared to standard conforming loans. Loan amounts over $3,500,000 – Up to 85% financing, 15% down payment. Larger down payment required for larger loan amounts. 700+ FICO credit score required anytime a buyer is financing the maximum loan to value 95% (owner-occupied homes only) 95% loan amount between $1.5m-$2.0m will require a minimum 740 score. Borrowers with lower credit scores (down to 660) can get approved with higher 10% down payment. Borrowers financing over 80% loan to value have the option of one single loan, or 80-15 or 80-10 combo “piggyback” 1st and 2nd mortgage. The 5% down payment option is fantastic for Doctors or Physicians with good income but limited cash reserves. Special VA Jumbo loan options for eligible Veterans nationwide. High balance VA loans can provide great benefits for eligible Vets. Building on your own lot? Please read seperate requirments for Construction Permanent Jumbo Loans. Are you a home buyer with a past short sale? You now have options to finance up to 85% loan to value. Please see the special guidelines below. Short sale must be a minimum of TWO years since completion. Perfect credit history after short sale required. No foreclosure or bankruptcy in the previous 5 years. 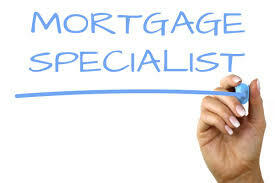 Minimum 12 months mortgage payment reserves required (after down payment) Non-liquid retirement accounts like IRA, 401K will meet this request. 720 credit score – up to 85% financing, limit $1,000,000, 12 months reserves. Please be sure to utilize the helpful Jumbo Mortgage Payment on this page. Please contact us 7 days a week with questions at ph: 800-962-0677 or just submit the Quick Contact form located on this page. We strive to respond to submitted requests within minutes during normal business hours.